The top photo is taken looking down Queen St. with the river behind. To the right is the Police Station and to the left behind the lamppost is Angelus Press. 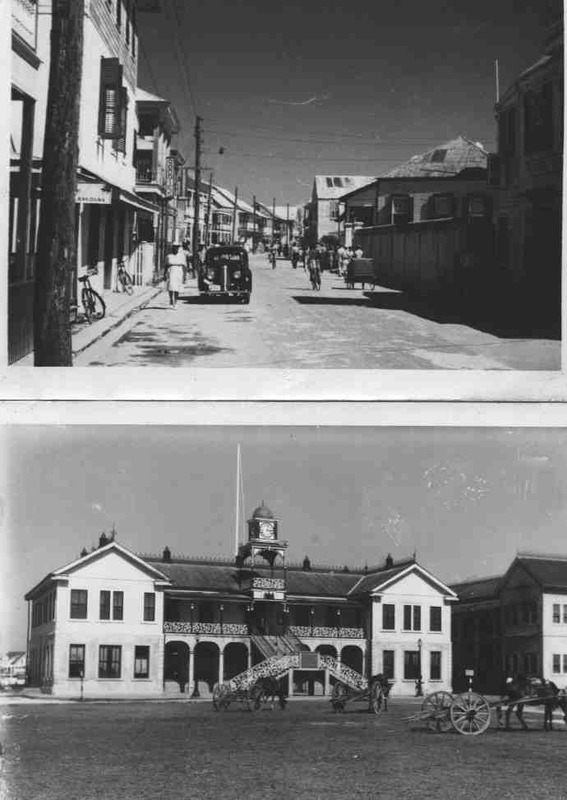 The bottom photograph is the Court House Building. Notice Central Park was not around in those days. Notice also the "Mule & Cart", a sight probably never again seen in Belize City since probably the early 1970's. This was the main mode of hauling goods from H.M.S. Customs.